Leo guesthouse Hongdae in Seoul: My favorite youtuber !!! I started to watch youtube videos really recently. 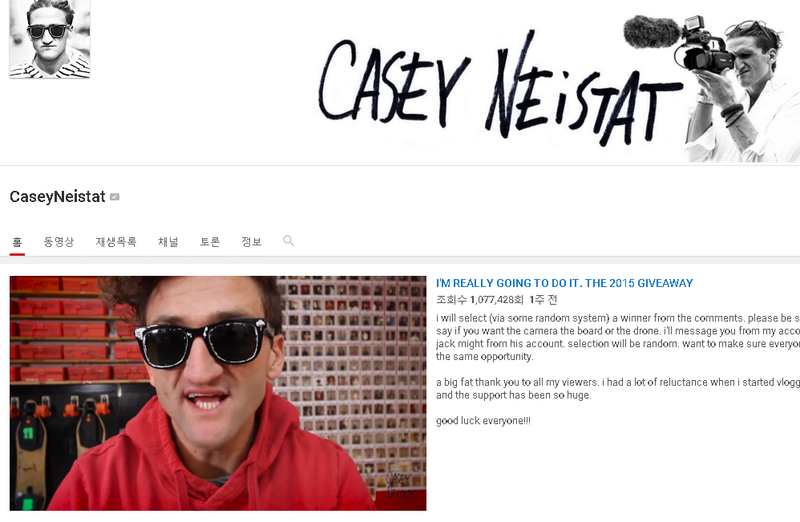 the best daily youtuber, Casey Neistat!!! but now they don't do it any more together I guess. He used to make videos about issues in America or in NY where he lives now. But, I think he's moving to somewhere soon? Since last year, he has been making youtube videos everyday! And just think about it! Actually, he's ones are the ones that I never get bored of. There are amazing youtubers of course that I don't know yet. but it makes you keep watch!!! He has so many awesome videos!!!! And check out guesthouse in Seoul, South Korea as well!! !